Modern seat belts are a combination of precise mechanical components and tough webbing. When you get into an accident, those mechanical parts are designed to lock up to prevent you from smashing into the steering wheel or into the dashboard. While we’re all happy to have those features, once you’ve been in an accident, many seat belts will be permanently locked. 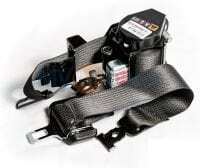 While dealers and auto repair shops may charge you hundreds of dollars, we have replacement seat belt assemblies with pretensioners and retractors at much lower prices. These are also a great replacement if you have an older vehicle whose seat belts have stopped working. Order yours now! This is an OEM Buick Regal Seat Belt Pretensioner that is in excellent shape and comes with lifetime warranty. This seat belt is ready to be shipped and will replace your old bad/damaged seat belt. Fast & Easy installation, when you receive the seat belt it is ready and is plug-n-play. Here are a few reasons why a seat belt pretensioner may need to be replaced. This is an OEM Chevrolet Malibu Seat Belt Pretensioner that is in excellent shape and comes with lifetime warranty. This seat belt is ready to be shipped and will replace your old bad/damaged seat belt. Fast & Easy installation, when you receive the seat belt it is ready and is plug-n-play. Here are a few reasons why a seat belt pretensioner may need to be replaced. 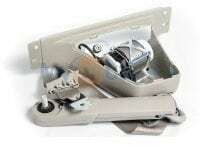 This is an OEM Chevrolet Impala Seat Belt Pretensioner that is in excellent shape and comes with lifetime warranty. This seat belt is ready to be shipped and will replace your old bad/damaged seat belt. Fast & Easy installation, when you receive the seat belt it is ready and is plug-n-play. Here are a few reasons why a seat belt pretensioner may need to be replaced. This is an OEM Chevrolet Traverse Seat Belt Pretensioner that is in excellent shape and comes with lifetime warranty. This seat belt is ready to be shipped and will replace your old bad/damaged seat belt. Fast & Easy installation, when you receive the seat belt it is ready and is plug-n-play. Here are a few reasons why a seat belt pretensioner may need to be replaced. This is an OEM Chevrolet Tahoe Seat Belt Pretensioner that is in excellent shape and comes with lifetime warranty. This seat belt is ready to be shipped and will replace your old bad/damaged seat belt. Fast & Easy installation, when you receive the seat belt it is ready and is plug-n-play. Here are a few reasons why a seat belt pretensioner may need to be replaced. This is an OEM Chevrolet Silverado Seat Belt Pretensioner that is in excellent shape and comes with lifetime warranty. This seat belt is ready to be shipped and will replace your old bad/damaged seat belt. Fast & Easy installation, when you receive the seat belt it is ready and is plug-n-play. Here are a few reasons why a seat belt pretensioner may need to be replaced.